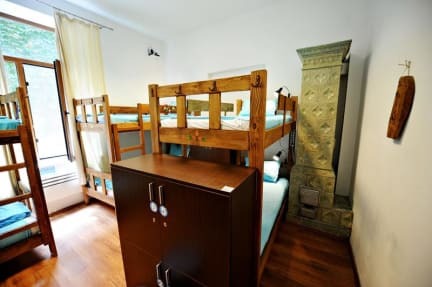 Beautiful hostel: friendly & helpful staff, good toilets and spaces, nice kitchen, all services you need, good position in Plata Romana neighborhood, very close to the metro station. I definitely recommend it! At Podstel Umbrella everything is super well organised & clean, big showers,comfortable beds, well equipped kitchen. Perfect location, a few metres away from all you need, and the staff is so lovely it has been scientifically proven you will fall in love with at least one of them: I did with Henry, go and see who will take your heart away ;) Highly recommended! 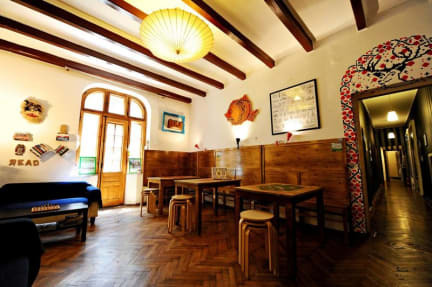 Umbrella Hostel is very well located: in a few metres, you can reach bars, restaurants and a supermarket open 24 hours/every day. Also Placa Romana is no more than 5 minutes far by walk. My room was large and clean. Common spaces were ok, especially lounge room in the entrance. I think it is a good place to relax: it's not a party hostel. Wi-fi signal was ok. Thanks to the staff for precious infos shared with me! Very good hostel, kind guys at the reception, clean, good position and cute.